The Marine Corps is setting in motion plans to shrink the size of the traditional rifle squad, cutting manpower for the Corps’ most basic building block of combat power from 13 Marines down to 12 — a risky move that the Corps admits could fail. To compensate for the reduced size, Marine Corps officials say the rifle squads will get more lethal weaponry, more responsibilities, better intel and enhanced support from the company and battalion level. Yet the decision to remove a man from the squad adds a level of risk: At the end of the day there will be one less Marine to help carry gear, to return fire, to stand watch or to divide up work. “If someone goes down as a casualty, there will be fewer people who can evacuate the casualty,” one former Marine infantry officer told Marine Corps Times. And all squad members will carry the M27 Infantry Automatic Rifle. Marine Commandant Gen. Robert B. Neller’s push to reshape ­infantry squads — in size, weaponry, tactics and technology — comes at a time when the Corps is trying to modernize the way it wages war to prepare for a fight with a near-peer competitor like China or Russia. The decision to drop down to a 12-man squad appears in part driven by manpower concerns and the need to expand the Corps’ capability in other areas like cyber, intelligence and electronic warfare while also staying below the Pentagon’s authorized force cap that will see only tepid growth in the coming year. Cutting one Marine from the 13-man rifle squad model will give the Corps an additional 648 Marines to assign somewhere else across the force, which Marine Corps officials hope will offset the potential for added risk. “It’s just a cost that the whole MAGTF (Marine Air-Ground Task Force) has to pay to fight in the 5th dimension (cyber) and remain in the 186,500-force level,” a military official told Marine Corps Times. The reduced rifle squad gives the Corps wiggle room to plus up billets across the force in high-demand areas. For now, the Corps has been vague on what it plans to do with the extra 648 billets. The Corps also has about 1,100 billets available to fill offensive and defensive cyber roles in the new 1700 military occupational specialty. “The Marine Corps is assessing the best way to use this extra ­structure,” Marine spokeswoman Capt. Ryan Alvis said. Neller announced plans for the new squad size at the Corps’ ground awards dinner in early May. He hinted that some of the available force structure from trimming the rifle squad could be used to plus up the four additional Javelin anti-tank missile teams headed to the Corps’ weapons companies, or filling intelligence roles across the infantry battalions. Nevertheless, not everyone has been a fan of Neller’s decision to reduce the rifle squad. “If you have a smaller squad, fewer people will be standing longer watch periods leading to exhaustion and the inherent risks that ­poses,” the former infantry officer said. And additional training raises some concerns. However, some former infantry squad leaders who spoke to Marine Corps Times felt the changes were manageable and also not necessarily new. The new squad will be divided into three fireteams of three Marines with one squad leader, assistant squad leader and squad systems operator. There will be a grenadier ­brandishing an M320 grenade launcher and ­automatic rifleman in each fireteam. But the Corps is mindful that its experimentation could fail. But, currently, the Corps says there are “no drawbacks to the 12-Marine squad that are not accounted for by the additional leadership, weapons and equipment sourcing. However, should a drawback become evident, we will adjust,” Alvis explained. It will take a while before the Corps fully implements a 12-man structure. Changes to doctrine and polices are ongoing and should be completed by fiscal year 2021, according to Alvis. The Corps’ training manuals will be reviewed and updated this fall before the infantry school houses begin to incorporate the 12-man squad into its training. 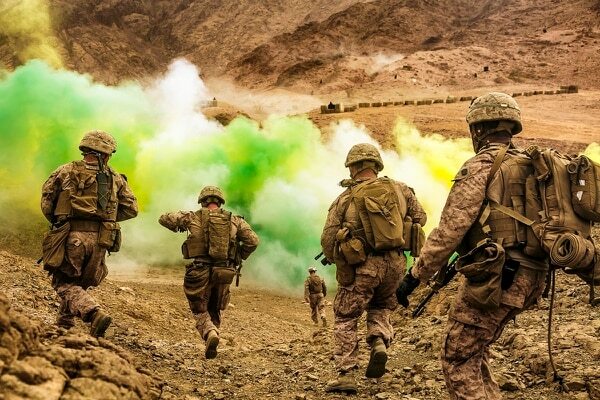 The Corps argues its decision on the 12-man squad was in part based on increasing lethality. But how is a smaller squad made more lethal? The Corps argues it’s all about proper manning, training and the new gear coming to grunts. “Although one Marine is being taken from the roster, the agility and lethality of the squad is increased by arming the squad with the right weapons, surveillance and communications equipment,” Alvis said. Initiatives, like incentives, are being considered to ensure Infantry Small Unit Leaders Course-trained squad leaders, with five to seven years of experience, arrive at units a full year prior to a deployment, Alvis said. The Infantry Small Unit Leaders Course is a six-week course that trains infantry sergeants and develops leadership skills. And new gear should pick up slack in expected loss of lethality or firepower. 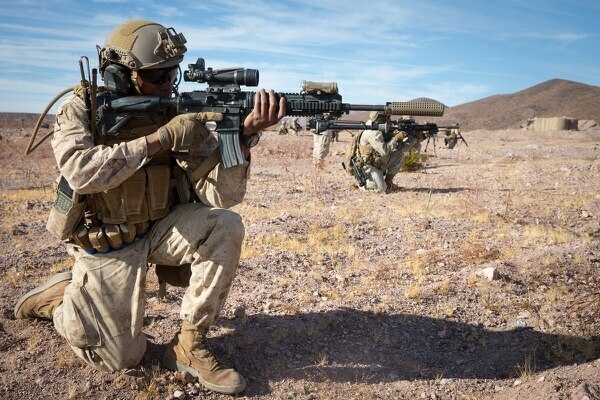 Grunts are getting new automatic rifles known as the M27s, upgraded night vision goggles and M320 grenade launchers, quadcopters, and will be fielded both the Carl Gustaf recoilless rifle and M38 marksman rifle with a suppressor and Leupold scoped optic. And “three-man fire teams can maneuver just as effectively as four-man teams, especially when the ability to put down meaningful covering fire is universally distributed,” he said. Yet plans for new gear and ­fewer ­Marines fuel concerns about ­burdening Marines with more weight, and that is a big concern for grunts. “We can’t just keep adding stuff on,” Neller said in May. The Corps still is experimenting with ways to reduce the weight grunts carry. The Corps says it is approaching the issue “holistically,” while considering changes from everything a Marine wears on his body to what he shoots and carries, said spokesman Capt. Joshua Pena. Some of the gear the Corps plans to field to reduce weight and aid in mobility are the Plate Carrier Gen III, which has reduced in weight by 23 percent over previous models, and “new tropical boots and uniforms that are thinner, lighter and faster drying,” Pena said. The Corps also is looking at new tech to reduce the amount of batteries a Marine has to carry in the field. One such device is called the Squad Power Manager, or SPM, made by Protonex Technology Corporation. The device acts as a power hub that can power and charge multiple devices using solar, according to Lawrence Holsworth, a marketing director for Protonex. Protonex says the Corps has been interested in battery powering and charging technology, and that its devices can save up to 35 pounds in batteries during a 72-hour mission. The Corps has tested a power management system that draws solar with four classes at the Infantry Officer Course at Quantico, Virginia. Moreover, the Corps wants to get rid of its heavy brass cased ammunition for a new polymer casing that is consumed when a weapon is fired. Another major concern is that infantry units could be overloaded with too much information that will flow in from new tech-like drones and tablets that enhance situational awareness. Every rifle company will have an intelligence and operations section to aid in collections and analysis. And an information management officer, information environment operations officer and a chief to integrate the information. At the rifle company, a master sergeant will oversee three intelligence Marines and four operations ­Marines. There also will be five Marines with every rifle company to handle drone operations.